Last evening some friends threw me a going away party. Though perhaps I haven’t completely swallowed what it will mean to say goodbye to this place – in order to say hello to a new place – it is always nice to gather people I love in one room. 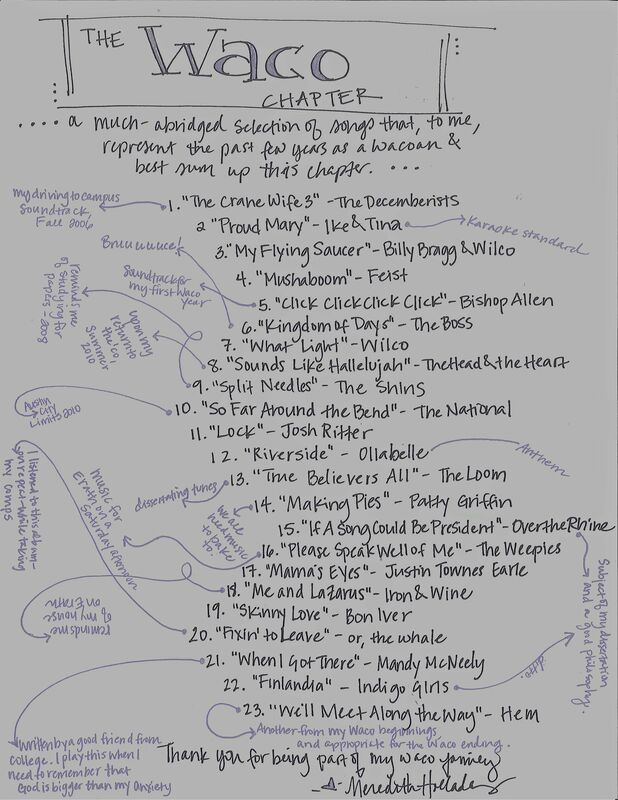 And because playlists are what I do, I made a “Waco Chapter” playlist. Lots of stuff that is quintessentially “Waco” to me had to be left off the mix (It’s not a box set, after all), but it still does a pretty good job of putting – through other people’s music and lyrics – my time in Waco in song.